Quick-service restaurant serving burgers and chicken tenders. Grab-and-go options are also available. 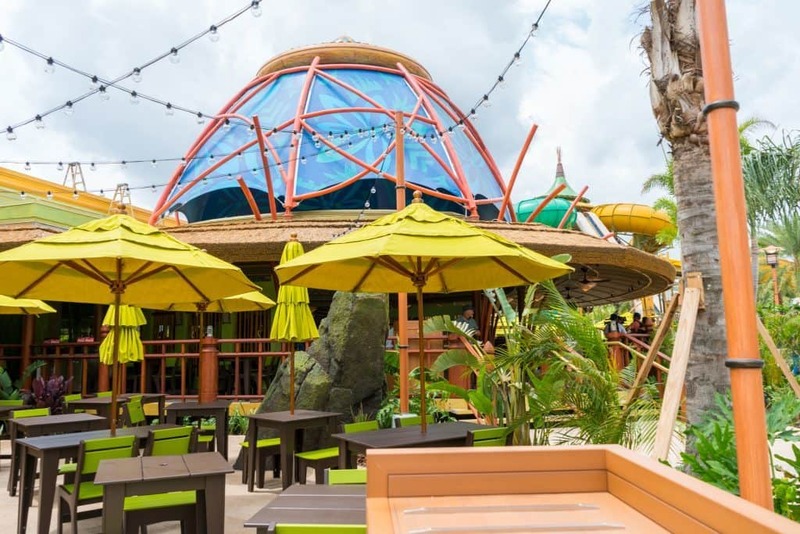 Bambu just might be the most striking restaurant in all of Volcano Bay – it’s made of “elegant” stalks of bamboo, as the name might suggest. Its menu features mainly burgers. 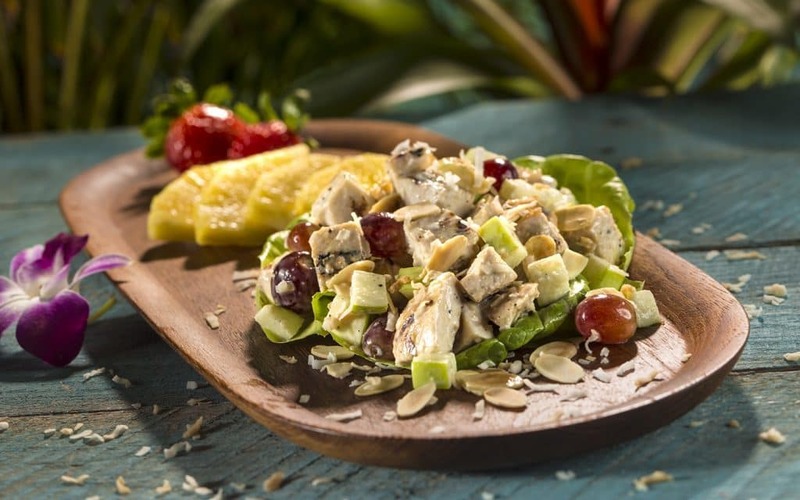 Note: All menus at Universal’s Volcano Bay were modified in July 2017, removing a lot of unique selections and replacing them with more basic offerings. Bambu lost a few of its unique burgers and its foot-long pretzel dogs. Read more here. 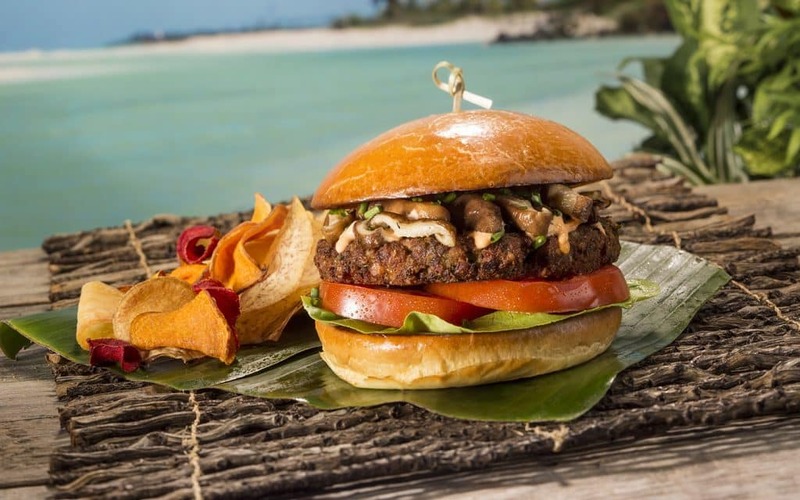 Quinoa Edamame Burger formerly offered at Bambu at Universal’s Volcano Bay.